The outspoken politician is going to have to reign it in for his next gig. 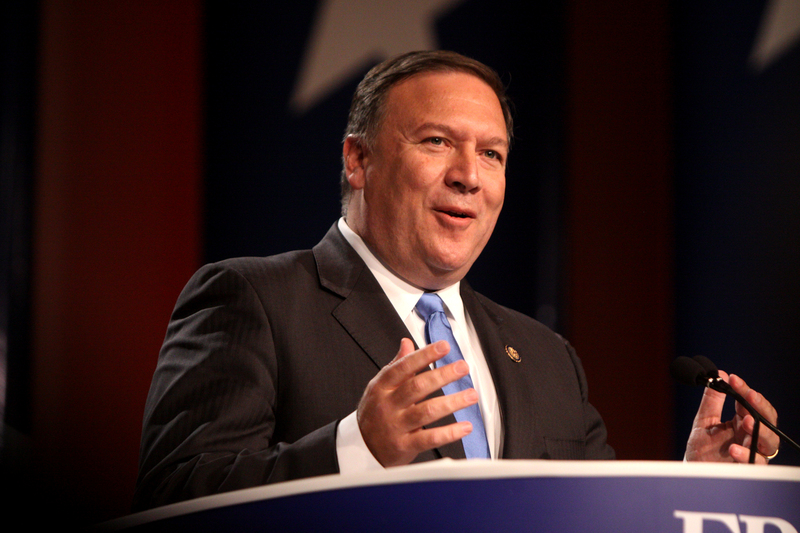 About a month ago, President-elect Donald Trump announced that his pick for head of the Central Intelligence Agency would be Representative Mike Pompeo (R-Ala.). Since then, the CIA has become a centerpiece of national interest after it released a report corroborating the claim that earlier hacks of the Democratic National Convention were in fact committed by Russia. In order to effectively navigate his transition into the role, Pompeo is going to have to pull himself out of the spotlight. Pompeo finds himself in a precarious position. He’s going to have to tow the line between doing his job as the CIA director (perhaps the most explicitly apolitical job of any political appointee) and repairing what can only be described as the ongoing feud between Trump and the agency. Just last week, Kellyanne Conway, Trump’s aide and former campaign manager, called the CIA’s allegations that Russia meddled in the election “laughable and ridiculous”. That’s a lot of animosity Pompeo will have to address. If Pompeo wants to get the job done well, experts are saying he is going to have to go dark. It’s a simple enough concept, going dark, and its one that is customary for CIA directors. Because of the clandestine nature of the CIA’s work, it does not behoove the CIA director to appear often in news headlines. Flying below the radar is a crucial component of the job. Another vital part is relaying accurate and politically unbiased information to the president, who will then decide if and how to act on it. The CIA director’s interactions with the public are unlike those of a politician — minimal, if not nonexistent. Steve Bannon? Jeff Session? Mike Pompeo? This transition is nothing but a #BigGame to dumb @$$ @realDonaldTrump! Get him tf outta here! However, this might prove a difficult task for Pompeo, whom The New York Times called “one of the most overtly partisan figures to take over the CIA.” He was a sharp, stalwart critic of Hillary Clinton, and took a leading role in the now-infamous Benghazi hearings. He has also called for Edward Snowden’s execution and has been a well-known friend of major food corporations. For his part, Pompeo has not even been able to keep silent on Twitter following his nomination. Surely, Twitter is among the most basic publicity platforms that Pompeo will have to shed in order to go dark as director of the CIA. For the time being, however, Pompeo can’t keep silent about those new FAA rules.